With my own Name day looming in the not so distant future, I realised that I equate organised game days with perfect birthday parties. You get to spend time with a bunch of friends, releasing joy from confined boxes, sometimes still wrapped in cellophane fresh of the shipment pallets. The benefit of these days is that every player who attends these can realistically feel like its THEIR birthday party but the drawback is that you can’t always take these boxes you open home with you. Saturday was yet another one of those days for me, but I did get to sneak a little dry, yet full-bodied package away as the day came to a close. 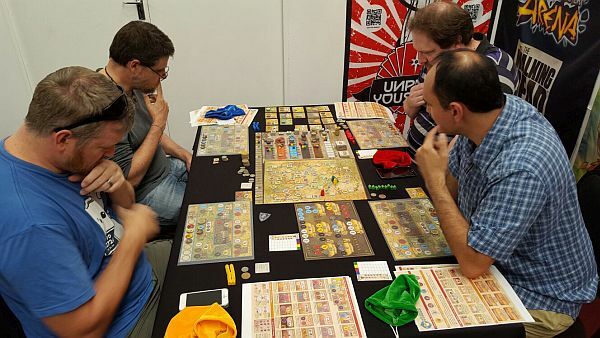 Euro Games like Orleans seem to put all players around the table into classical statue poses. While Paul got to start the day with the soothing renaissance palette colours of Orleans, I managed to gather around a few soldiers and agents to introduce them to my current favourite filler, Operation FAUST. With five players there were ample roles in play at all times enabling intel and artworks to be confiscated, investigated and bought at a constant pace. Small “fibs” allowed me to manipulate how others viewed my cards and players quickly adapted to the challenge claim/penalty mechanic. Curses were uttered when the Fuhrer’s worthless “masterpiece” switched hands, allegations made about the abuse of spying roles and in the end victory was claimed after a blind swap edged my art value past $1,000,000. A great title enjoyed by all and I’m sure we’ll see this great bluffing/deduction game sneaking onto local gaming shelves in coming months. Who has what roles and what art and do you want to wager your intel on it? 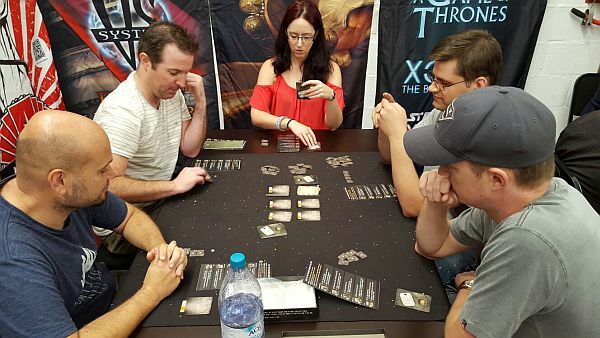 Next I was summoned to Westeros to play A Game of Thrones: The Card Game Second Edition in a Melee style format. Houses Lannister, Stark, Tyrell, Martell and Targaryen were all present, with the faithful Night’s Watch forever watching the wall. I’d never played the melee style of the card game and the Title roles added extra mechanics of turn “buffs” (such as +1 claim for military challenges) as well as allegiances, which created a very different playing field. I’m still learning the ins and outs of this deep LCG from Fantasy Flight and it seems every time I bring out a deck, I’m seeing different combinations and paths to victory. We had players characters inflicted with Milk of the Poppy, poisoned with the Tears of Lys and numerous power challenges going through. 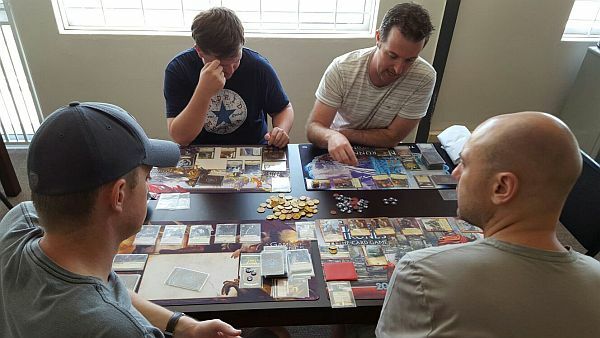 Needless to say I’ll be sinking a lot more into this game as I head through to my first casual Thrones Day at Quantum Gaming in Plumstead, Cape Town on Saturday. I cant recommend trying this game enough. Your supporter one round and your rival the next. Thrones is the only game that matters. 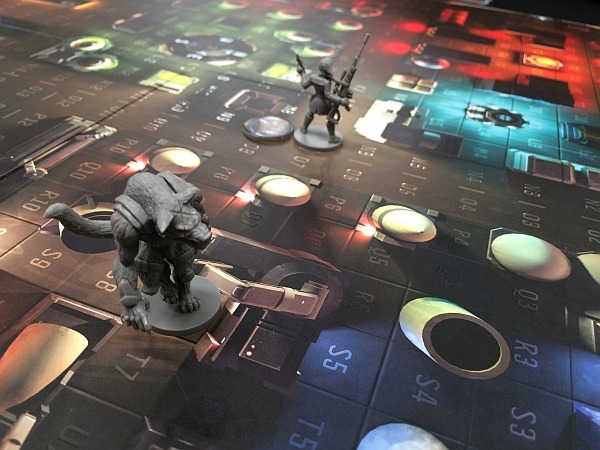 As the day continued to sneak away from us, we finally got the chance to get Specter Ops, from Plaid Hat Games, to the table. Fury of Dracula has firmly staked it’s claim at the top of my hidden movement one-versus-all games and while that’s a three hour affair, I was hoping the thrills of agents, mutants and sabotage might be a nice filler in my collection. Deon and I started our patrols with The Beast (the feral quadruped all-smelling enforcer) and The Gun aiming to sniff out Paul’s movement through the facility. This game is exceedingly tight for the agent, and with the balance of power feeling firmly with the hunters in our playthrough, we caught the lucky break of an early trail and proceeded to choke out the game due to a checkmate scenario of the agent having only a single hit-point left and all escape routes blocked. It’s a beautiful board with a great theme and improvisations on the basic formula but sadly this is not one that we’re planning to steal off the shelves to play, with the game sadly feeling too rote and without the depth that we felt when chasing Nosferatu. This is probably what the English futuristic fox hunt may look like..
After the success of hunting agents in chemical facilities, we decided that stuffing our pockets full of coin and trinkets would be a great next stop as we sent adventurers to the Ice Plains, the Tropical Jungle and to the Sweltering Abyss to amass our fortunes. Richard Garfield’s Treasure Hunter is a recent Kickstarter by Queen Games aimed at the family audience, with a cartoon art style and a wealth of chaos in a card drafting game. Each location has a high and low score treasure, and treasures can range from granting you multipliers of coin per card type, straight monetary value or even trash items that cost you at the end of the round. We jostled to draft the 9 cards together that would nab us the treasure we wanted as well as protect us from the goblin scavengers at the end of the round, bent on pillaging our loot! 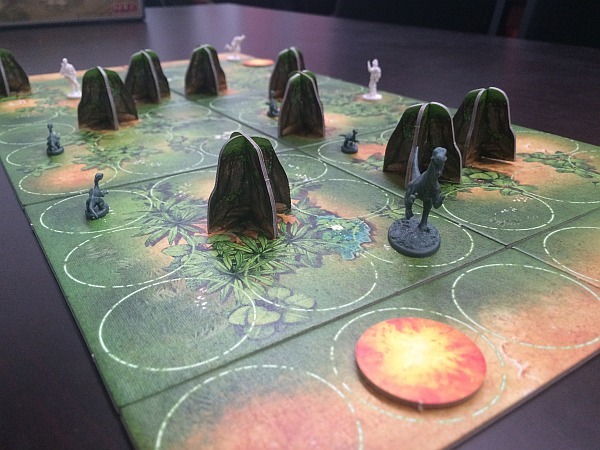 While lots of whimsical fun, Treasure Hunter has just too much randomness and for many serious boardgamers will suffer early on feeling like a one trick pony. We had some chuckles at the characters dubious names and enjoyed tossing the Hail Mary of the Mystery Mule to see what would happen to the battles over area supremacy. 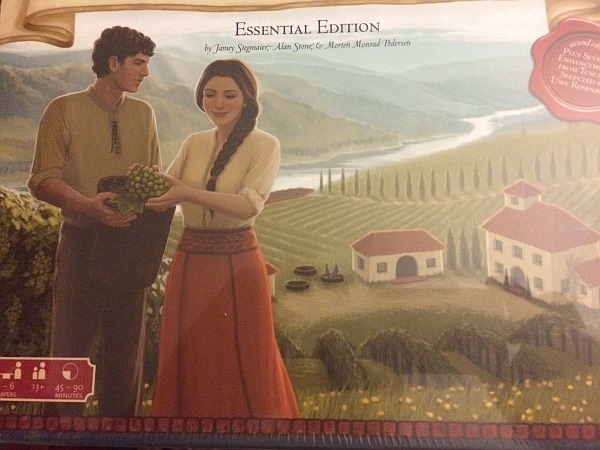 I think this will fit nicely for introducing new players to the world of board games or those who haven’t experienced card drafting before, but for veterans would be more a one night fling. The fires had started, and the beasts were hungry for some grilled scientists. Lastly, Paul and I headed for the Rapture… I mean… Raptor. The two Bruno’s have given us a 2 player asymmetrical game of cat and mouse between a mother velociraptor and her babies and the scientists that wish to study and capture them. With similarities to their Mission Red Planet, players will simultaneously reveal one of two drawn initiative cards with the lowest able to take the special action and the highest able to take general actions equal to the difference in initiative value between the two played cards. The problem with this strategic game is that you never feel that you have too many options, and often what you really need to do feels impossible. I may have been feeling gamer fatigue at this stage of the day, but I left the table totally underwhelmed and I don’t think either of us will be watching the water on the dashboard. Definitely more Lost Worlds than Jurassic Park for me. And that was my experience at the Skycastle Game Day. Thanks to all of you who stopped to say hi, new and old friends alike and we’re looking forward to the next games day in Cape Town.